Nine-course bacon "omakase" destination in Brooklyn. 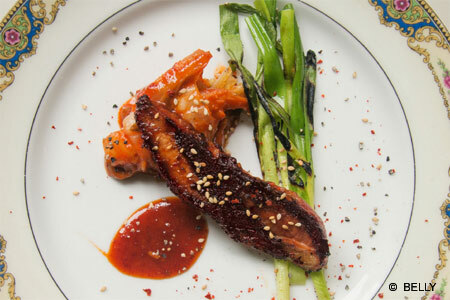 : Korean pork belly is the star at this Brooklyn spot from Phillip Cho and Anna Lee. Chef Brian Crawford serves a nine-course bacon "omakase" for $45 featuring dishes like pork belly schnitzel with spicy Korean mustard.